YouTube’s paid subscription service, YouTube Red, has tapped Rob Huebel and pals to help bulk up its original content offerings. Huebel’s new show, Do You Want To See A Dead Body?, is one of two shows the service announced today, along with Ryan Hansen Solves Crimes On Television*, starring the Veronica Mars and Party Down star as a crime-fighting version of himself. 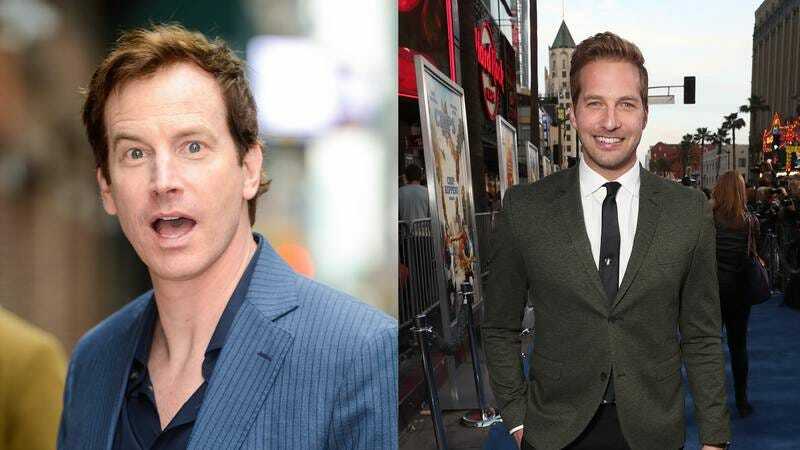 Huebel’s show will co-star such L.A. notables as Adam Scott, Judy Greer, Terry Crews, Craig Robinson, and John Cho, all dragged along on a variety of adventures by the Human Giant and Childrens Hospital star. Featured events include going to the beach, getting tacos, and corpse inspection, just like the title promises. Hansen’s show, meanwhile, sounds a little bit like Adam West’s old comedy pilot Lookwell: Hansen plays himself as an actor participating in an LAPD program that teams him and his “actor skills” up with actual detectives in order to solve crimes. Orange Is The New Black and The Handmaid Tales’ Samira Wiley will play the world-weary cop forced to put up with Hansen’s celebrity antics. YouTube Red was launched as Music Key in 2014, and re-branded in 2015; its original slate of programming largely focused on YouTube stars, but it looks like the service is transitioning into recruiting established Hollywood names to draw viewers in.